Whole Health Source: Does Calorie Restriction Extend Lifespan in Mammals? Does Calorie Restriction Extend Lifespan in Mammals? Until about two years ago, the story went something like this: calorie restriction extends lifespan in yeast, worms, flies, and rodents. Lifespan extension by calorie restriction appears to be biologically universal, therefore it's probably only a matter of time until it's demonstrated in humans as well. More than 20 years ago, independent teams of researchers set out to demonstrate the phenomenon in macaque monkeys, a primate model closer to humans than any lifespan model previously tested. Calorie restriction is more likely to shorten life than lengthen it in mice. The calorie restriction literature may suffer from publication bias. In 2009, researchers at the University of Wisconsin published preliminary results from the first primate calorie restriction experiment (3). The analysis suggested that restricted macaques suffered fewer "age-related deaths". Many people, including myself, found this somewhat questionable since total deaths from all causes were not significantly different (the experiment is ongoing, so there may eventually be a significant difference). Also, the diet was appalling-- a refined feed made of sugar, isolated starch and other purified ingredients. Animals in both groups died of gastrointestinal ailments. The restricted group was protected from obesity, diabetes and cardiovascular disease, and they certainly looked much better. Eating less of a poor diet seems to protect against disease, and may or may not extend life. Today, a new study was published that casts further doubt on the idea that calorie restriction extends lifespan in mammals, including primates (4). Researchers from the National Institute on Aging placed macaques on an unrefined (whole food based) diet for 26 years, with or without 30 percent calorie restriction. They did this in two experiments, one starting with young monkeys and one starting with older monkeys. Both experiments showed that calorie restriction does not extend lifespan under these conditions, although it does prevent obesity and cancer, and apparently maintains a youthful appearance. It's worth mentioning that the control (unrestricted) monkeys in the first experiment were truly given as much food as they wanted to eat (ad libitum), while those in the second experiment were given an amount of food that allowed them to reach a normal weight but not become overweight. Therefore, one could argue that the control group in the second experiment was slightly calorie restricted. They certainly gained less fat than in the previous experiment, but their diet was also far superior. I think when you consider all the evidence to date, the take-away message is that eating a nutritious diet and staying relatively lean will probably prolong your life, while calorie restriction may or may not. It probably does reduce the risk of specific diseases however. Currently, a number people around the world are restricting their calorie intake in the hope of living longer. I wish these pioneers the best of luck. Hopefully we'll have the answer to this question eventually, but if I were a bettin' man I wouldn't put my money on the idea that calorie restriction will extend lifespan at this point. I have found conflicting information on this topic recently, including confusion regarding which pictures of monkeys correspond to which so that some people claim that CR withers your appearance but prolongs your life or that CR kills you quickly but preserves your looks. By the way, the CAPTCHA for your comments is hellish. Please change it. Txomin - sounds like a name you'd give a robot! I thought the hellish CAPTCHA was just my eyes, or maybe my aging brain. I always wondered; what if you went out into the wild and, like an omnipotent thief, always took away some of the food in a monkey's foraging range, so it ate less, or exercised more: would it live longer? It strikes me as somewhat implausible, once you put it like that. I think the evidence for time-restricted feeding looks better - because you know you're not starving, and you are eating in a way closer to the way your Last Healthy Ancestor ate. With IF you're doing something your great-grandmother would understand, whereas she definitely would not approve of calorie restriction. Now, how are the low-carb macaques doing? I was kind-of-sort-of persuaded by Roy Walford a long time ago on this issue and later became mostly critical. A long time later (2 or 3 years ago now) I wrote a harsh critique of the longevity "blue zones" book, key critique being over-application (already acting as if it were true) of calorie restriction research. I had the Okinawan diet mixed up at the time but my suspicions about CR are coming in roughly like I envisioned - probably not widely applicable and much more of a gamble than many presume - like the life extenders from the 90s taking 300 pills and capsules and potions daily - then-current research was leaving tantalizing breadcrumbs and people were just too, too eager to follow the trail. Hi Stephan, what's your thoughts on IF since it is somewhat related to CR, awesome tool or overhyped? Many years ago I met a science journalist who told me with great enthusiasm how calorie restriction was extending lifespan in lab animals. This was the secret of a long healthy life, he said. I suggested the animals might have had vitamin and mineral deficiencies which were being corrected by calorie restriction. He seemed rather shocked. I subsequently did some research on animal diets, and found enormous variation in their micronutrient content. The biggest cattle feed manufacturer in the UK, for instance, had a mineral mix with 20 times more iron than manganese. American cattle feed had equal quantities, and I thought this might explain why the UK had a BSE (mad cow) epidemic and the US didn't. The cause of BSE was supposed to be 'infected' meat and bone meal, but actually this meal is extremely high in minerals which inhibit manganese absorption (Ca, P and Fe). We now know that lab animals deficient in manganese-SOD get spongiform brain disease. More recently we hear that captive cheetahs are dying of a mad cow-like disease. Their feed has many times more iron than it should have. This post comes at such a convenient time. I was just about to begin to consider Caloric Restriction in some sort of fashion. For now... I'll stick to eating a nutrient dense diet and exercising as I see fit. I remember reading the article about the CR diet effect on monkeys and being very impressed with the way underfed monkeys looked and feel and getting an idea that starting IF would be worth trying. My guess, normally adult people accept the fact that it is normal not to reach 90 years old, mostly people scared of cancer, want to avoid suffering from age-related deceases and to delay the time when they start to look unattractive(hard to measure) and experience a decline in physical and mental abilities. I'm with Stylooke. What does this mean for IF? Can we put yet another nail in the Paleolithic Reenactment Movement with this? Just as the underlying genetics played a huge part in the various strains of mice they do the same in people. This discussion based on the Albert Einstein study of centenarians is worth reading. No way of eating will make any of us live forever, though I often detect an undertone of denial in the attitudes of people who are devoted to extreme diets. It's also interesting for those of us who are older to note that this study, too, seems to confirm the hints from NHANES that being overweight at 70 is far from unhealthy, though obesity is to be avoided. - Doesn't the record lifespan of the Okinawans very strongly suggest that a moderate CR of about 10 percent is best for longevity? - What's your view on protein/ methionine restriction? I believe the Okinawans ate about 9 percent protein, mostly from low-methionine sweet potatoes. Maybe the longevity trick is to be well nourished without too many high-protein animal products? - What do you think about intermittent fasting? Any idea about how much or what kind of fasting should be optimal for longevity? How about combining these approaches with a simple food diet? Should be doable! Keep up the great work! Your blog is very inspiring! Jenny, I've also heard that about slightly overweight older people being 'healthier' than lean older people. Is it possible that the reason is because many 'lean' older people aren't that way on *purpose* but actually as a symptom of some pathology (maybe malapsorption or something else)? I wonder if you compare older people who are lean who TRY to be lean via healthy living vs. a slightly overweight older person if the stats would change? It'd be nice if CR and/or IF would increase lifespan, but even if it doesn't, if it gives people more robust/youthful years, that enough for many to want to embrace it. I think you're right regarding leanness with elderly. In my industry, Life Insurance, older folks who are abnormally thin (i.e. underweight) are rated for higher pricing or even declined for insurance. However, older people who are lean but within normal ranges are often those that are offered the lowest cost insurance. Life insurance companies have been tracking this type of information, and others, for decades. I'd love to look at all their proprietary information regarding mortality. For example, for at least 15 years they've only rated folks for cholesterol if it was above 250ish. I used to wonder why such a high level needed to be reached before charging more for insurance. Obviously, I now know why - their mortality experiences weren't matching up with what the "experts" were recommending. 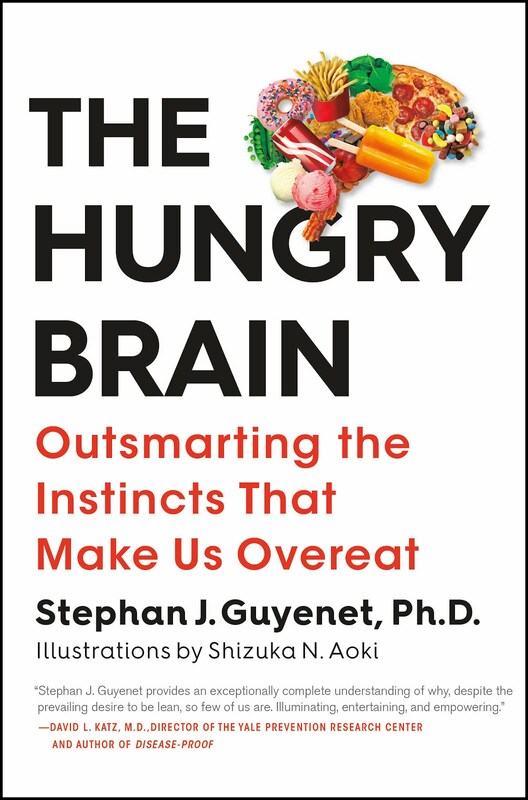 "It's worth mentioning that the control (unrestricted) monkeys in the first experiment were truly given as much food as they wanted to eat (ad libitum), while those in the second experiment were given an amount of food that allowed them to reach a normal weight but not become overweight. Therefore, one could argue that the control group in the second experiment was slightly calorie restricted. They certainly gained less fat than in the previous experiment, but their diet was also far superior." Is "the first experiment" the one with macaques, or the first of the two with rhesus monkeys? Considering that the National Institutes of Health website already has links to many published studies of the impressive benefits of calorie restriction on humans, I would not get very excited about a couple studies with monkeys. "how are the low-carb macaques doing?" Good question. I'm not aware that there are LC macaques, but I would love to see what happens! I predict a shortened lifespan. I think IF could be a useful tool, but I wouldn't expect it to extend life. Overweight people seem to die less mostly because they have higher muscle mass. If you control for muscle mass, mortality increases with increasing fat mass on average. The lifespan of Okinawans suggests that they had some characteristic that made them live a long time, but it's an unproven assumption that the key characteristic was calorie restriction. They were doing a lot of things differently than what we do today, and they are also genetically distinct. Sorry, I wasn't being consistent with my terminology-- macaques and rhesus monkeys are the same thing for our purposes. There are no studies showing that CR extends lifespan in humans, so I don't see why the human studies should supersede those in monkeys. I'm curious, in monkeys and/or humans, what adaptations the body makes to calorie restriction. Assuming that the person or animal reaches a point where energy in matches energy expended, does that arise due to reduced activity, reduced body mass, or? In other words, would one become a thin, active person or a person with barely enough energy to stay warm and move about? Stephan, I'm puzzled by your response to me, in which you said: "There are no studies showing that CR extends lifespan in humans, so I don't see why the human studies should supersede those in monkeys." Your statement seem meaningless, since, as you well know, it would take a long time -- at least one long human lifespan -- to come to any meaningful conclusions about the longevity benefits of CR. However, there have been many peer-reviewed studies mentioned on the NIH website that document quality-of-life benefits from CR. Until (and even after) we know whether there is a longevity benefit, I will be satisfied with quality-of-life benefits. What would IF be a "useful tool" for if it doesn't extend life? Isn't it claimed to have the same or better effects as CR? This post was about lifespan extension. That's why I disagreed with your contention that the human studies supersede those in monkeys. If we're talking about resistance to obesity and non-infectious disease, particularly metabolic disease, then I think it's likely that CR is effective in humans. The CR lit in animals and humans is consistent with this. Although I think there's an important caveat here. One could legitimately ask whether the benefit comes from avoiding overeating, or restricting intake beyond what is biologically normal. In the modern US, the average person eats ~20-30% more calories than he/she should based on activity level. Even in the last 30 years, kcal intake has increased by ~20% in the US. This is not biologically normal. It may just be semantics, but I would guess that avoiding overeating is where most of the benefit lies, and the value of restricting kcal intake beyond that point may be questionable. It has the potential to improve body composition, metabolic function, and perhaps general stress resistance, but I'd like to see more research on it. I think this is a great topic to question. I questioned Dr. Rosedale last year about this very issue. Just because worms have great CRON data, does not imply we can generalize this through the mammalian clade. There are a lot of conflicted data about the effect of IGF1 and mTOR on longevity anti aging medicine and in anti aging research. I'm glad to see this question raised again. Its obvious that way of eating influences how long will you live, those that talk about genetics do not understand that nutrition influences gene expression which means that even if you have 'wrong' genes with specific nutrition you could fix them (although not in the one-diet-for-everybody fashion). So some of those vampire dudes have protective genes, some have protective environment, some happened to have protective nutrition. I suggest people get into touch with nutrigenetics. > "how are the low-carb macaques doing?" Good question. I'm not aware that there are LC macaques, but I would love to see what happens! I predict a shortened lifespan. I'm sure Rupert Sheldrake knows. Oh, sorry ... "the great Rupert Sheldrake"
Yes agree, according to the research 1930's has confirmed that a dietary lifestyle recognized as caloric restriction can lengthen healthy lifespan in mammals, and signs are that it does the same in humans. "There is skepticism that lifespan extension with CRAN in short-lived species can be generalized to long-lived species. Even if CRAN could not extend maximum lifespan in humans, I think that it likely increases average lifespan"
Whether animal CR studies can really be compared with human CRAN or CRON - CR plus supplements and "superfoods" - is a relevant question. Eating right foods and not starving yourself is the best way to lose weight. 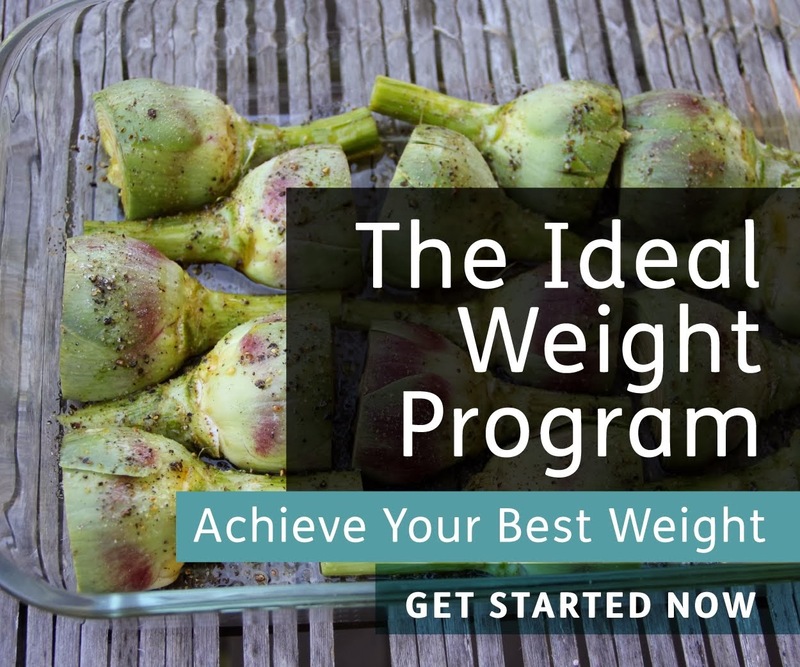 Diet plans and programs that allow you to do that and allow you to eat foods you love the most are the best plans and programs you can ever be on. I'm not aware that there are LC macaques, but I would love to see what happens! I predict a shortened lifespan. Although macaques are considered omnivores, they are mainly herbivorous depending in large part on fruits. A prediction of a short lifespan on a species that evolved on a high carb diet seems like a safe bet. Thanks for information i am impress with your blog post written style "Does Calorie Restriction Extend Lifespan in Mammals?" . Keep it up. Intermittent Fasting (IF) is likely quite different than CR, in that it manipulates the timing of eating rather than overall amount consumed across a 24-hour (or 48h) period. I find IF comes naturally on a relatively lowish carb paleo type diet, confining my eating largely to an 8-10 hour window (roughly 11am or noon to 7 or 8pm, usually two big meals). IF may have other benefits in addition to helping maintain leanness, such as possible anti-cancer effects. I'm guessing if it does, it is due to maintaining a longer window of ketosis which may help with pre-cancer cell apoptosis. It would be interesting to see animal studies of this. It is good to see an article that questions the popular notion that calorie restriction extends lifespan. For me the content of the diet is far more important than the amount. Simplifying the analysis to focus on only calories is I think not the answer for those wanting to live beyond 100. Nevertheless, there is a place for approaches such as IF and calorie counting if other variable are controlled for. Oh, and yes the CAPTCHA verification is a nightmare. Is IF that different from CR? When I first read about CR many years ago, it meant restricting calories without restricting micronutrients. Later it turned into food restriction, which meant feeding the animals intermittently instead of ad lib. This amounts to IF, really. Both CR and IF are supposed to work at least in part by promoting autophagy. I don't see how else you can prolong lifespan: you simply have to clear out the junk if you want to live longer. We now know that exercise induces autophagy too. Eat a big breakfast, walk to work, eat nothing until the evening. We also know that fat breakdown uses the same machinery as autophagy ('lipophagy'), meaning it has the potential to prevent obesity. It's even thought to be a tumour suppressor. Cancer is only one of many age-related diseases involving failure of autophagy. Scientists are getting very excited about it. My experience with IF is that it works psychologically for me. I am far more interested in being able to eat to the point of feeling stuffed once per day than of being able to eat several times per day. I practice IF because I really don't want to be overweight, and without some sort of system to control my intake, I would easily and rapidly gain weight. Without IF, I have to meticulously count calories and always feel denied. With IF, I can pretty much eat as much as I want, as long as I am careful to start my daily feat with lots of vegetables and water which fill me up without weighing me down later. Has anyone here ever read Dr Gundry's Diet Evolution? His theory is that, via a process of group selection, humans have evolved suicide genes which activate when an old person consumes too much of the good food (especially animal protein), because under most conditions this means taking such food out of the mouths of their grandchildren. The ideal food for longevity and health, according to Gundry, is greens, since these are typically plentiful in nature. So an old person who eats mostly greens is not depriving their grandchildren, and might even be useful to them in some way, and so should be kept alive. CAPTCHA is horrible. There are sites far more popular than yours that simply require entering the sum of 2+6 or something similar, and even use the same two numbers permanently. Speed of metabolism is at least partially responsive to available calories. Perhaps increases in longevity with cr occur by slowing mitosis and thereby slowing the telomeric timer in each of us. Survival from famine could be a subtle selection mechanism mediated by cr. I just discovered your blog tonight while searching for information on non-alcoholic fatty liver and am delighted with the quality and variety in content. I also watched the video of your talk and found it fascinating and well done. So, all in all, this is a great night of discovery! Thank you for your clear and very informative work. Dr Desmond Morris has written these two good pieces on aging, eating e t c.
But if society should change its attitudes to ageing, then so too should individuals. And there are important lessons here that can be learned from people like Madame Calment. The first and most important one is that she had outlived everyone else on the planet by not worrying about her health. Until the doctors got at her, in her final years, I doubt if she ever gave her health a moment's thought. She ate the rich food she liked, she drank the cheap wine she liked, she smoked the strong cigarettes she liked and - as she said - she kept calm. Had she worried about her health and taken steps to improve it, the anxiety caused by stirring up fears about ill-health would themselves have reduced the efficiency of her immune system. She would have then probably succumbed to the afflictions that plague so many people. Another important point is that she didn't do any extreme exercise, but she did take a lot of the milder type. She was still riding her bicycle at the age of 100. Food faddists, couch potatoes, solemn bores and health fanatics all seem doomed to earlier graves. Studying the over-100s, it seems advisable to avoid intensive health regimes." Never getting sick indicates a rather lackadaisical immune system, rather than an especially hard-fighting one, wouldn't you say? But basically, this does jive with studies of centenarians: they're not worriers and they're not health freaks. The book "Blue Zones," which I love to poke fun at, had a chapter describing one of one of these vigorous elderly types, ending up with the usual list of healthy things to do, including eschewing animal fats. What was this health exemplar doing, as described? Walking to the store to pick up his weekly two pints of lard. Oops! Sorry about the captcha, as far as I know, I have no control over how it's set up. I can turn it off though. I'll give it a shot and we'll see how spammy it gets. As it is, I manage to have an annoying captcha AND lots of spam. And then there is Walter Breuning who lived until he was 114 years old. Eating only two meals a day- breakfast and lunch- for the last 35 years of his life he seemed to have been doing IF sort of "unknowingly". So basically adequately controlling the AMPK/mTOR balance is necessary for being healthy, and IF is a way to restore the balance to AMPK and its autophagy/repair mechanisms when overeating in western cultures causes excessive mTOR proliferation. As for how much to IF, it seems based on Dr. Andro's recommendations and Martin Berkhan's work that a 16hr fast starting with sleep and ending after a workout, followed by a high-carb, high-protein meal immediately PWO is optimal for both fat loss/cellular health/anabolic growth, all "at the same time" in terms of a daily cycle. So yes, IF is good for you and, I think, everyone should be doing it. I have been puzzling about this. What does Breuning mean by 'still hungry'? I suspect he didn't mean 'hungry' as many people today would understand it. Hungry for me means something quite different from what it meant to me 30 years ago. Then, hunger was something awful that could never be satisfied, however much I ate. I never experience that now, and I believe it to be abnormal and caused by micronutrient deficiencies. I eat until I'm full, but I could conceivably eat more if I tried. Is this what Breuning meant? Right now I am in the Oxford university science library, feeling really good and buzzing with energy and enthusiasm. I will feel like this all day, despite having nothing to eat for 11 hours. Or perhaps because of it. My Mother used say - more than 30 years ago - "If you want pudding, you need to leave a little room". When I was satisfied by main courses, I Did Have a little room. One does not Have to eat dessert, it is optional - one has had sufficient. One is only peckish for "moreish" food, as Nigel Kinbrun might say. Peckish equals "I'd like an oral treat" - it is not Hunger. Our culture has let "Greed is Good" attitude permeate the Eating as well as the Financial spheres. May I ask you an impolite question please? Do you like 'oral treats'? Do you get peckish for them? Are they moreish? I'm asking because I do remember these things, dimly. A few years ago I had something to celebrate and went off to a high-class supermarket to get a treat. I though I'd been denying myself, and now at last I could indulge. I wandered around for a long time looking at the mouth-watering stuff and my mouth didn't water. I went home empty handed and astonished. Eventually I realised I'd had a food addiction and it was over. Dale, I think it was the massive amounts of chocolate Madame Calment enjoyed : ) One could of course argue that if chocolate was really that beneficial, 99.9% of human womanhood would become centenarians but I’m with Desmond Morris on this one. It’s the tiny (or more likely huge) black cloud of worry floating in the blue sky of our eating pleasure that can make even chocolate unhealthy. Jane, Breuning ate lots of carbs as I understand it, fruits and grains (waffles and pancakes). Maybe the meal skipping helped but could it simply be self-discipline developed by Breuning over the years, reinforced by his feelings of well-being from his eating habits? He might have been able to handle his hunger better than many others can. I agree with you that nutrient deficiencies probably can cause abnormal hunger. But Breuning didn’t seem to be macro-/micromanaging his diet nutrient wise at all. Yes I looked him up and found his breakfast was often toast or pancakes, meaning white flour, I suppose. Perhaps if you do intermittent fasting you can get away with some junk. I don't think I could though. Perhaps Breuning's genes and early nutrition set his vitamin and mineral requirements lower than mine. On IF, doesn't the fact that wild mice (who are practicing IF) live far longer than lab mice suggest that, in fact IF would increase our life-spans. After all, we are far more like the lab mice in both our exercise and diet than we are to the wild mice. So why would you 'not expect' this result translated to humans? When it comes to the oldest people I have to admit I have a dodgy habit of following their progress on their wiki entry: http://en.wikipedia.org/wiki/Oldest_people. The current oldest man puts his longevity down to small portions. The oldest woman owes her longevity to avoiding junk food and minding her own bisiness! it would be nice to compare the "calorie restriction" intended as generic number of calories in a day and comparing it to the effects of fasting or intermittent fasting. in my opinion the two have completely different means, it's worth to get deeper into the matter.... eating less alone can't have the benefits that fasting have in terms of lifespan extent. I have done research on this for years in terms of researching and using myself. Roy Walford was right I believe, but did not take the importance of fat into consideration. Diet that is CR cannot be mostly grain/veg based. They turned into walking skeletons. Yes fat is at a higher set point of calories, but that is where the nutrients are. One has to apply the research from weston a price into this aspect. Combining the 2 worlds of Walford/weston is the best way to go and intermediate fasting. One cannot respond well to a low fat CR diet, that is just death waiting to happen. The study that the core of this blog post is stated upon seemed to be horribly underpowered -- essentially 5 mice per group! Might as well collect data from a magic 8 ball. Overall - share your thoughts on CR though - I don't believe it will do much for humans, other than what a healthy AL diet would do.